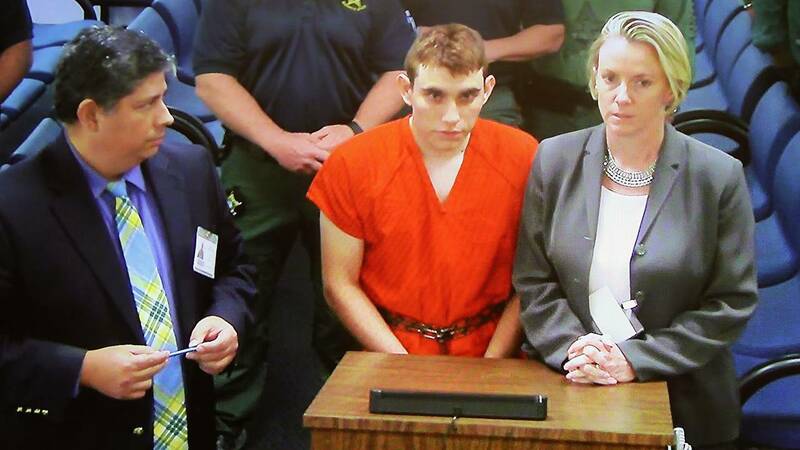 (CNN) - Nikolas Cruz will continue to be held without bond, a judge ruled Friday, after a grand jury indicted him on charges of premeditated murder and attempted murder in connection with last month's shooting rampage that left 17 people dead at a South Florida high school. Cruz appeared before the judge by video from jail, wearing an orange jumpsuit as he stood silently next to his attorney during the brief bond hearing. A Broward County grand jury on Wednesday charged the 19-year-old gunman with 17 counts of premeditated murder in the first degree and 17 counts of attempted murder in the first degree. Cruz gunned down students and teachers at Marjory Stoneman Douglas High School in Parkland on February 14, in one of the deadliest mass shootings in modern US history. The suspect was identified from school security videos. A Coral Springs officer later arrested Cruz as he walked along the side of a road. Cruz confessed to being the gunman, according to a probable cause affidavit released shortly after his arrest. The head of the county's public defender's office, which is representing Cruz, said last month there is no question Cruz is guilty, and that the teen is willing to plead guilty to avoid the death penalty. In a court filing Thursday, Cruz declined to enter a plea to the charges made by the grand jury. Cruz has been held without bond following a brief hearing in a Broward County court last month.